BAKERSFIELD, Ca. — The Bakersfield Condors moved back into fourth place in the Pacific Division of the AHL with a 4-2 victory over the Stockton Heat on Wednesday night at Rabobank Arena. RW Josh Currie recorded his fifth career AHL hat trick, scoring a goal in each period. Rookie C Cooper Marody and LW Tyler Benson each had three assists. And, Benson now leads all AHL rookies with 22 assists on the season. 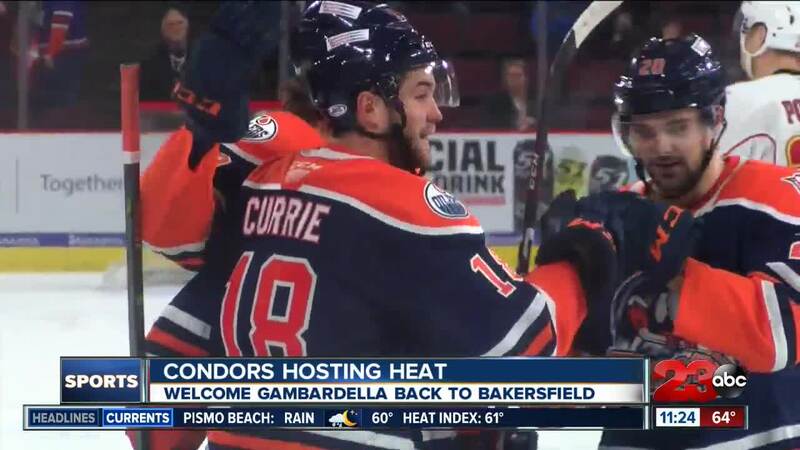 The Condors also welcomed LW Joe Gambardella back to Bakersfield after a stint with Edmonton. The Condors host the Heat, again, this Friday at Rabobank Arena at 7 p.m.